Summer School will be held from Tuesday, May 28 - Friday, June 21 from 8:00 a.m. - 2:30 p.m. daily. Bus transportation is available, but only to certain drop-off/pick-up locations which will be announced later. Enrollment forms for grades K-6 have been sent home with students. 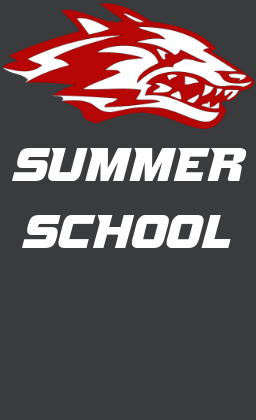 If you have additional questions about K-6 Summer School, please contact Karen Murray at 417-272-3241 (kmurray@wolves.k12.mo.us) or Laura Weber at 417-272-1735 (lweber@wolves.k12.mo.us).